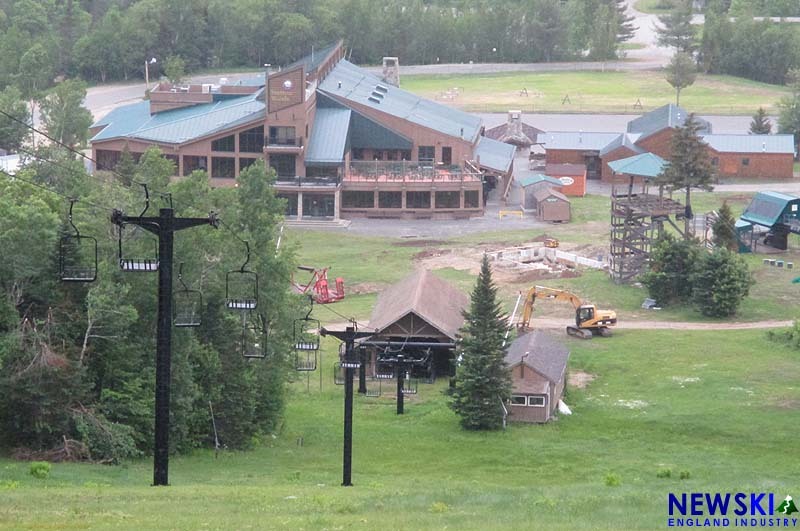 Construction continues to ramp up at Bretton Woods, as one of New England's most aggressive capital improvement projects this off season is underway. The centerpiece of the the project is the installation of a new Doppelmayr gondola. The new 8 passenger lift will start in the base area, cross over the Bethlehem Quad, and terminate near the top of Fabyan's Triple. 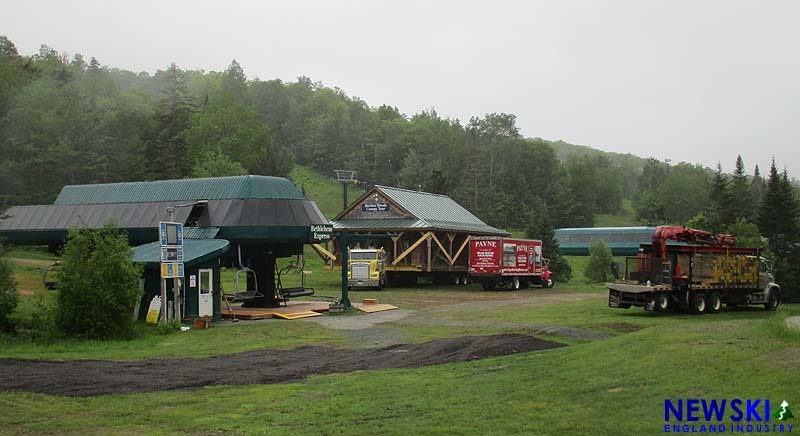 The new gondola will be the third enclosed ski lift in New Hampshire and the fifth in New England to feature 8 passenger cabins. The lift will be roughly 6,000 feet long, climbing 1,300 vertical feet, terminating about 100 vertical feet below the summit of Mt. Rosebrook. 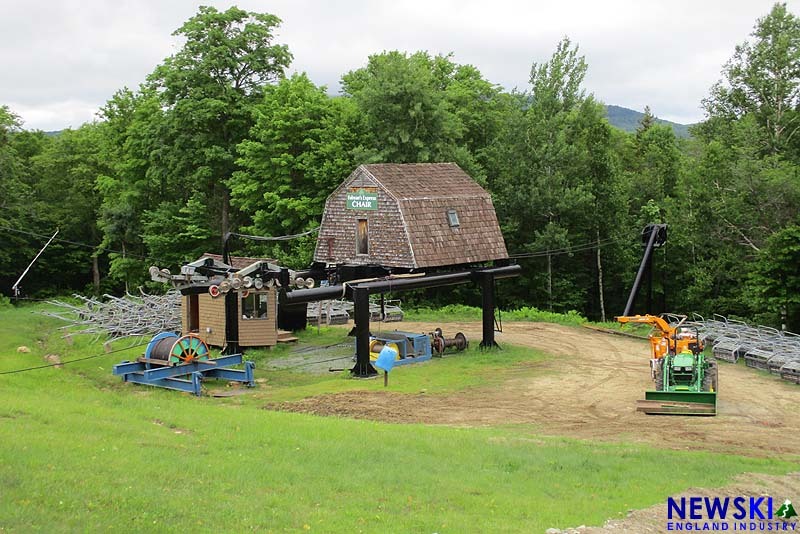 To make way for the new lift, the canopy tour office has been lifted from its foundation and loaded onto a trailer by a building moving company. In addition, the lower portion of the lift line has been cleared. Two existing lifts will also be impacted. Chairs, a tower crossarm, and the top bullwheel have been removed from Fabyan's Triple. 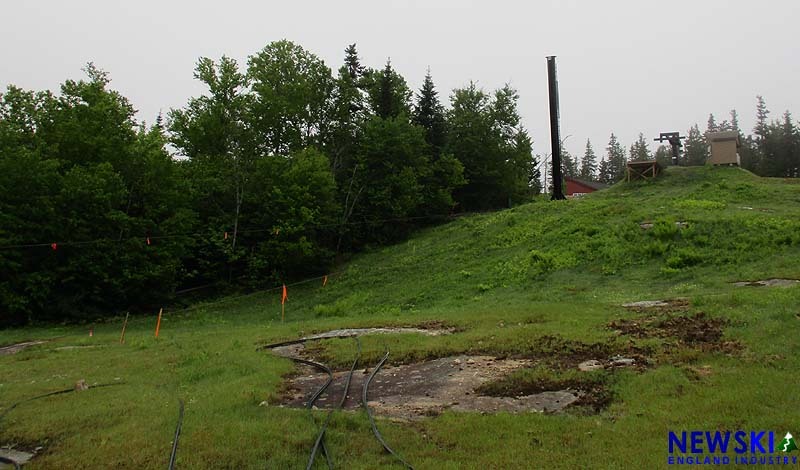 The lift will be truncated downhill to make way for the top terminal of the gondola, as well as the future upper mountain lodge. Meanwhile, the B Chair carried its last passengers this week and is expected to be removed shortly. 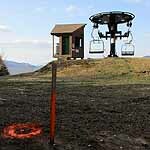 The 1973 Heron-Poma double chairlift is the last original lift dating back to Bretton Woods' debut. 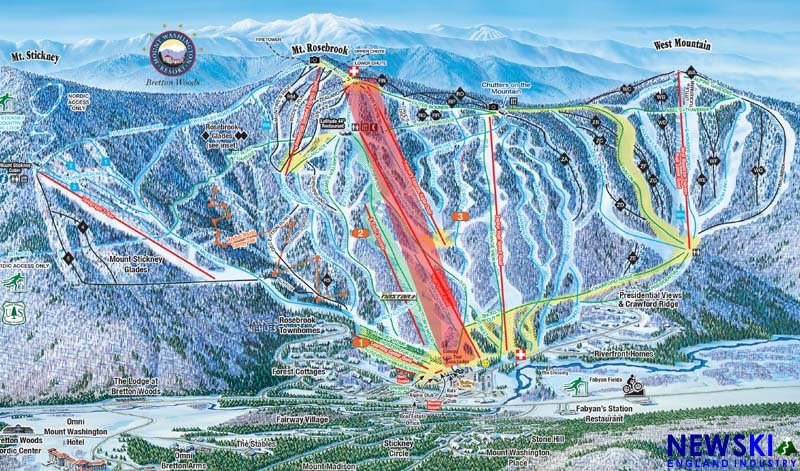 The lift projects are expected to be completed in time for the 2018-19 ski season.